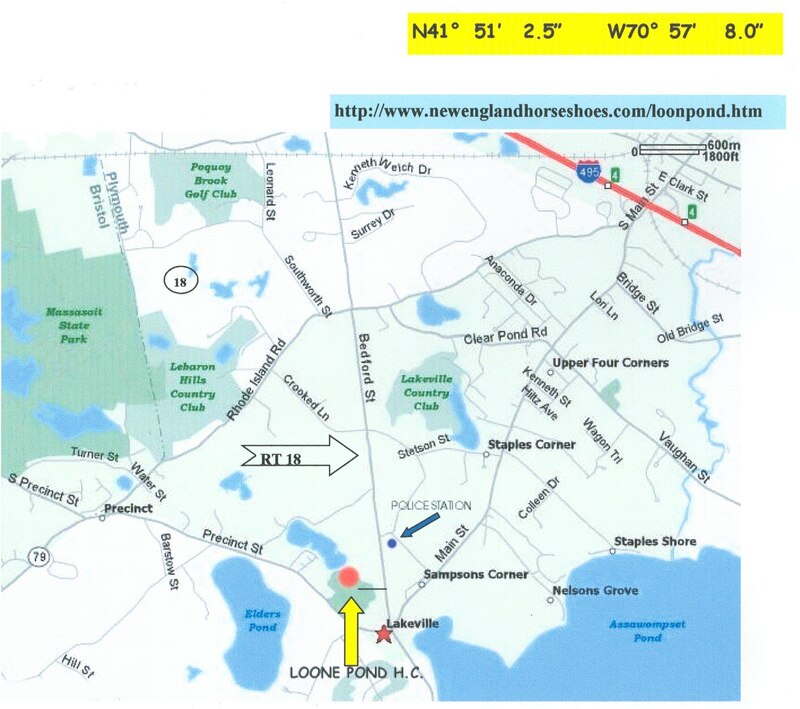 Loone Pond Horseshoe Club with 16 Clay Courts, Located in Lakeville Mass. From rt. 495 take Rt. 18 South (Exit 5) & follow map below.